Last week, Sahara Reporters shared an audio tape purported to be a conversation between Senator Dino Melaye and Justice Akon Ikpeme, the tribunal judge who handled his election case in 2015. 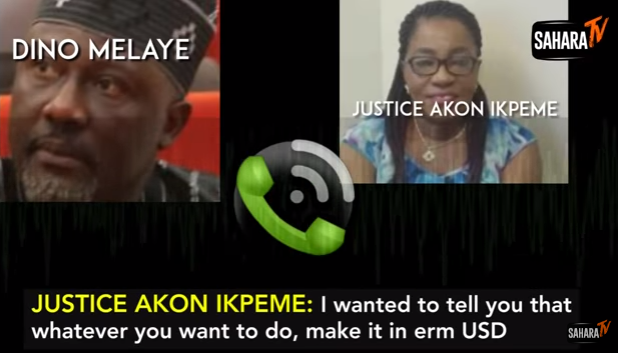 The audio tape is centered on a conversation between a person said to be Dino and Justice Ikpeme allegedly talking bribe in US dollars. 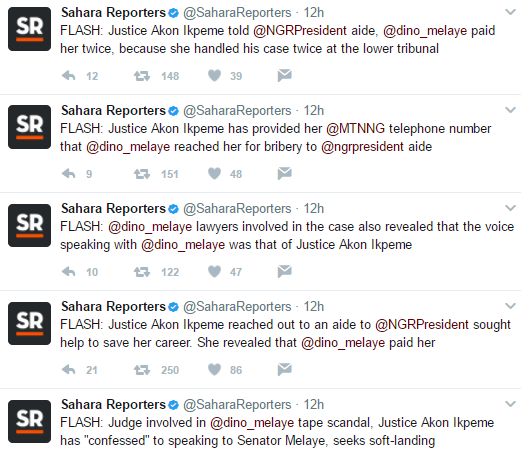 Dino has already denied the claims, saying his voice was super imposed on the recording. Kunle Oloko Was Stoned To Death For Having An Affair With His Sister!